Sheffield Group is a dynamic team that thrives on “Giving You More.” More range, more value and more benefits. 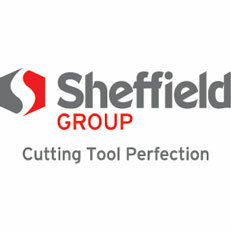 Sheffield Group produce the outstanding Sterling, Alpha and Maxabrase brands of Cutting Tools and Power Tool Accessories that guarantee professionals more value in every single product. The Sterling range provides complete cutting tool solutions in utility knives, cutters, blades, safety cutting, tape measures and related tools. The Black Panther snips are renown in the Mining and Construction markets as “Cutting Almost Anything”. The Alpha range provides drill bits, driver bits, taps and dies, countersinks, hole saws, SDS masonry drills, wood drills and related power tool accessories. With Alpha you are guaranteed More Holes for your Dollar! The Maxabrase range provides abrasive products including cutting discs, flap discs, flap wheels, fibre discs, and surface preparation and polishing products. Maxabrase represent the ultimate in cutting and grinding performance. Sheffield Group is the sole Australian distributor of the Euroboor range of Portable Industrial Tools, including a full range of magnetic based drills and annular cutters.